You can remove a contact list without deleting the contacts that make up that list. The contacts will remain in your All subscribers list and in any other lists they’re members of. However, it is possible to delete your contacts permanently. 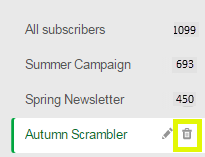 On the Campaigns page, click Subscribers. 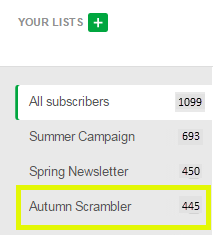 In the left sidebar, select the contact list you want to delete. Click the trash can button.